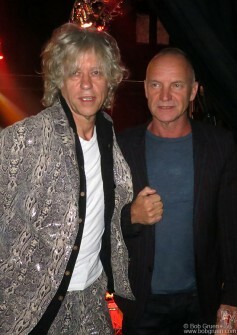 Sept 26 – Sting came to see his friend Sir Bob Geldof reunited with the Boomtown Rats for some original punk rock. 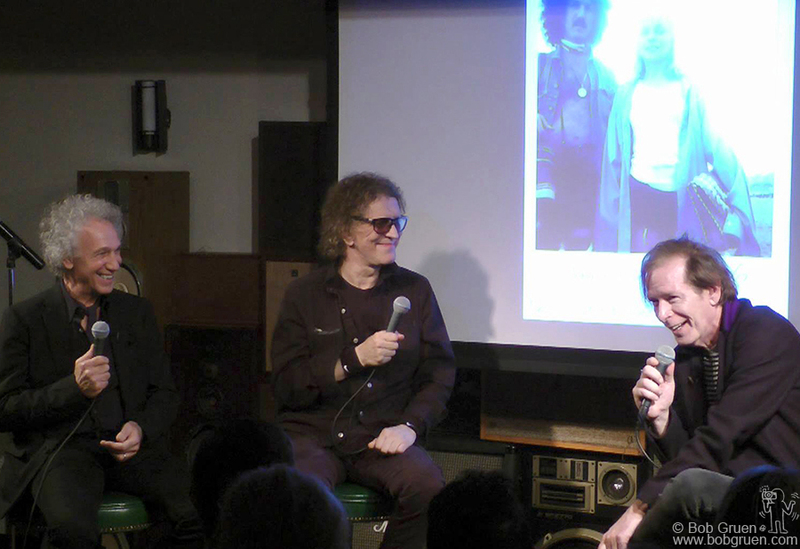 Sept 30 – I was in a conversation with Mick Rock moderated by Legs McNeil which turned out to be a very funny night. 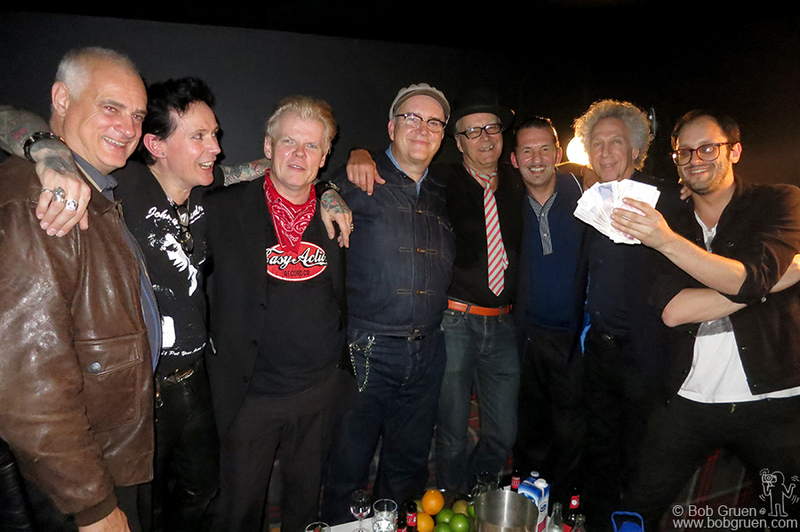 Oct 9 – My exhibition ‘Rock Seen’ opened at the Huntingdon Gallery in the hip Shoreditch part of town. 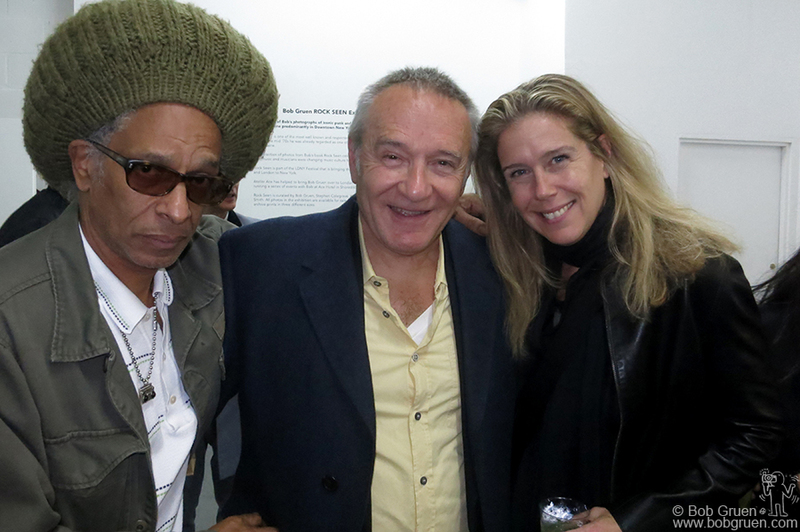 Above good friends Don Letts and Chris Salewicz say “Hi!” to Elizabeth. 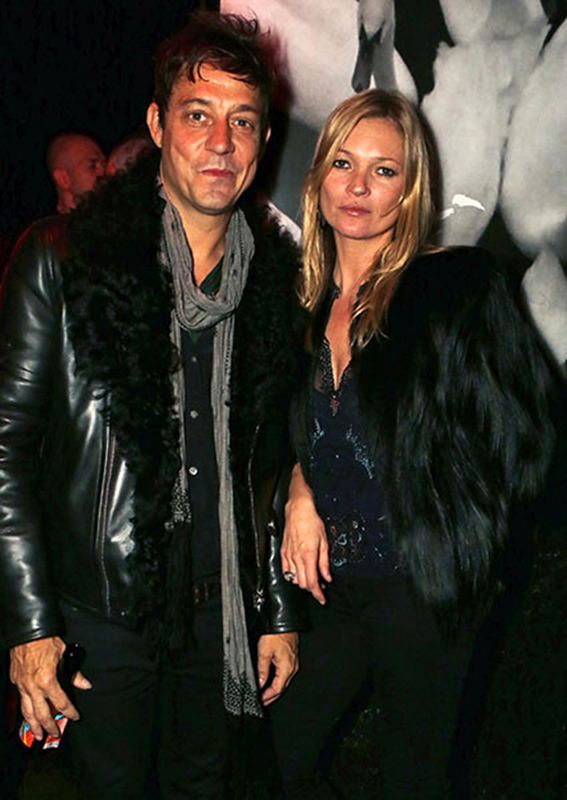 Kate Moss and Jamie Hince made an entrance at the exhibition after-party at the Ace Hotel. Photo by David M. Benett. I chatted with Lucinda Garland and Pam Hogg in the ‘Teenage Bedroom’ installation at my exhibition. 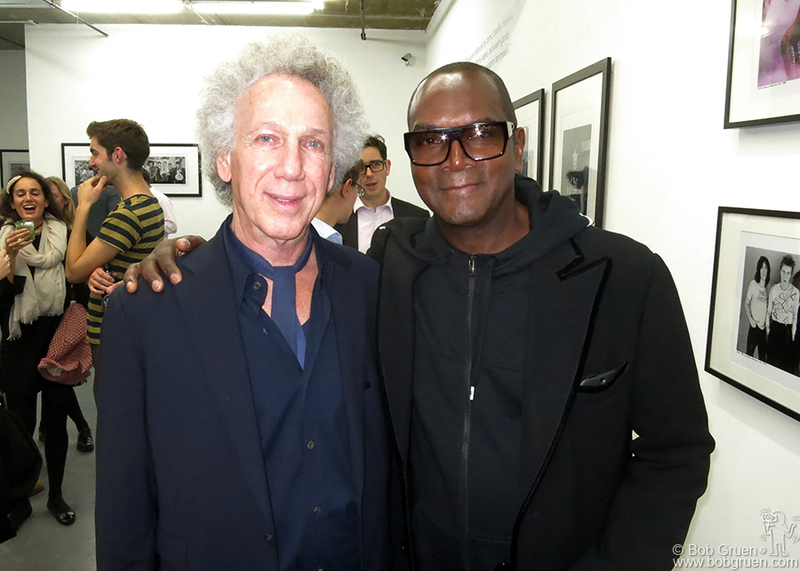 Famed photographer Dennis Morris came to the exhibition. Walter Lure played a great set of Hearbreakers’ songs at the after-party featuring a surprise appearance by Marc Almond. 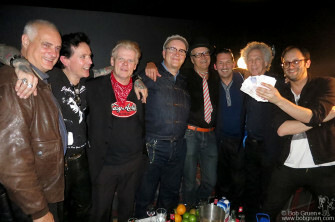 Stephen Colegrave and Smutty Smith who organized the exhibition, pose with Waldos & Greg. 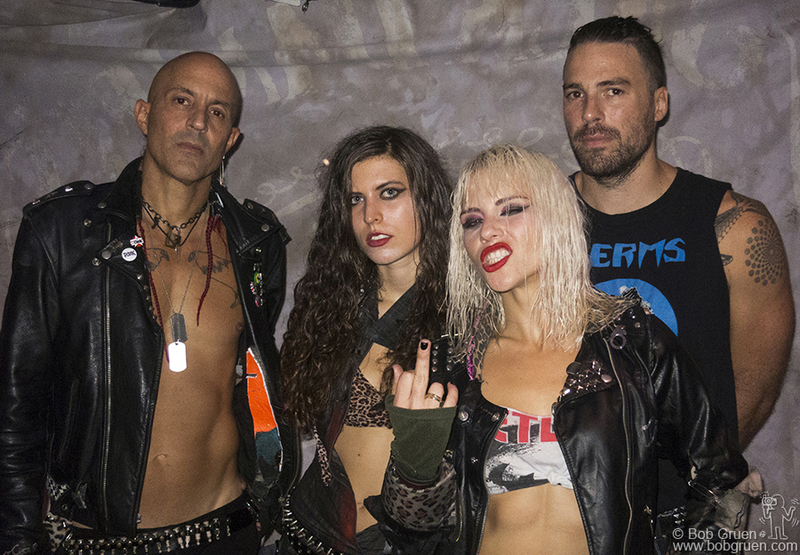 Oct 12 – We were lucky to still be in London to catch the Barb Wire Dolls show at the Purple Turtle club. 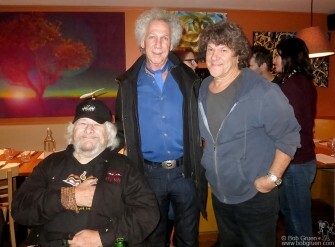 Oct 17 – At the BMI dinner I met Wavy Gravy and said hello to my old friend Michael Lang. Oct 23 – My birthday party this year was the best yet! Alice Cooper came and sang ‘I’m Eighteen’, and insisted I sing backup with his wife Sheryl. See it on Youtube. 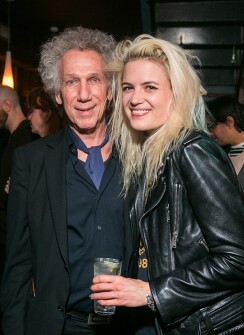 Photo by David Appel. 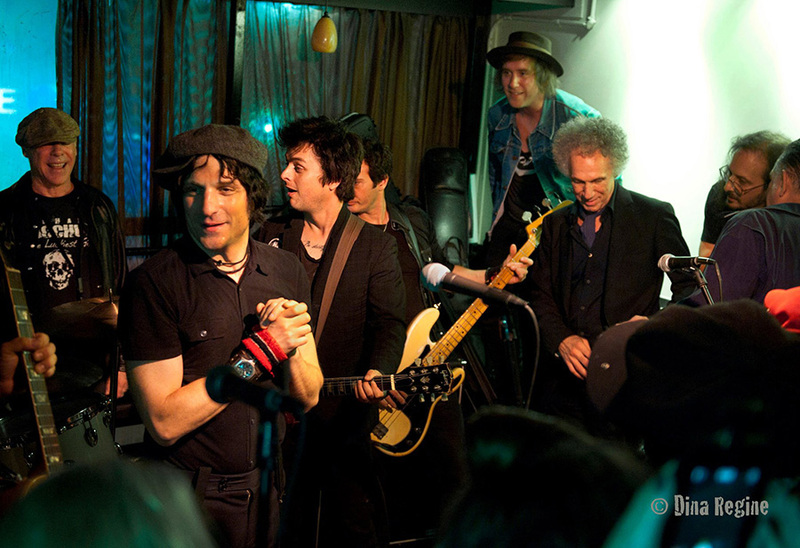 Jesse Malin put together a great band for the night. Billie Joe Armstrong came and sang ‘Jail Guitar Doors’ and ‘Sheena is a Punk Rocker’ and joined in on several other songs. 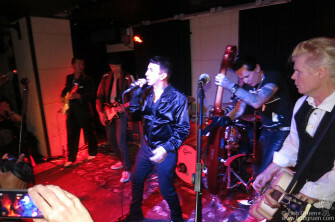 See it on Youtube. Photo by Dina Regine. 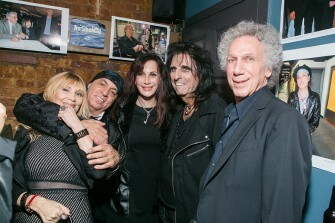 Maureen Van Zandt, Little Steven, Sheryl Cooper & Alice Cooper all came to wish me Happy Birthday. 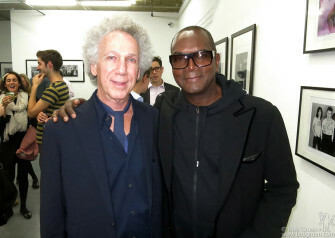 Photo by David Appel. Brody Dalle of the Distillers also sang a very punk song at the party. 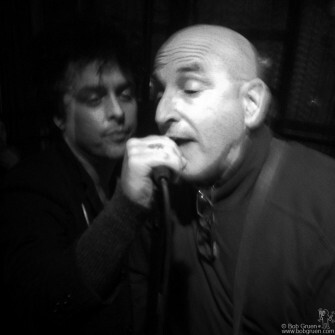 Bille Joe Armstrong & Paul Collins singing ‘Hanging On The Telephone’ originally recorded by Paul’s band the Nerves before Blondie made it a hit. 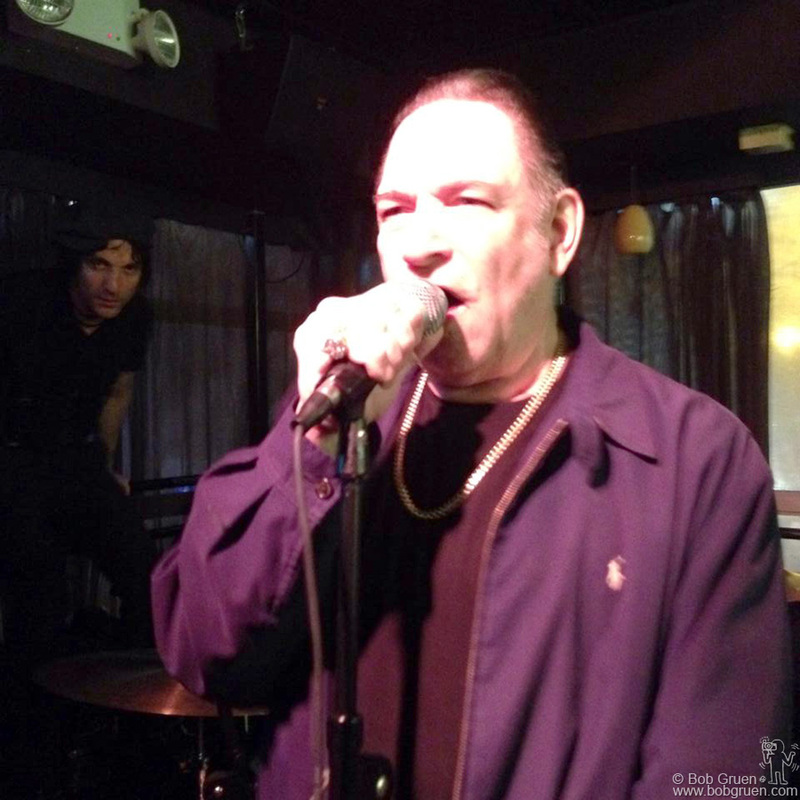 Robert Gordon brought his fantastic deep voice to sing ‘I’m Coming Home’ from his new album. See it here. 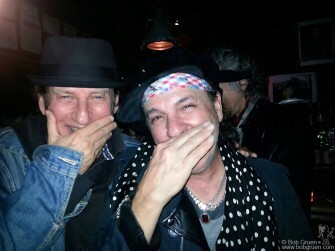 Kenny Aaronson & Syl Sylvain cover their smiles after Sylvain sang a few songs at the party. Alison Mosshart came by to say Happy Birthday after her show with the Kills at the Bowery Ballroom. 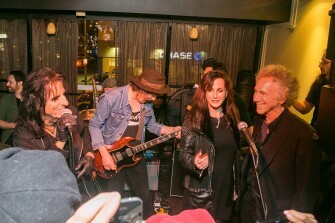 Photo by David Appel. 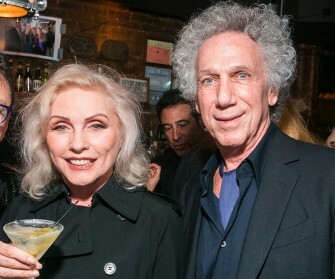 Debbie Harry enjoyed the great show at my birthday party. 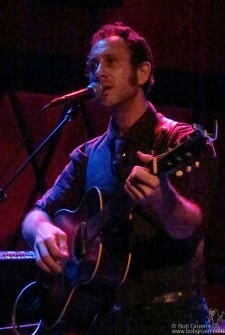 Photo by David Appel. 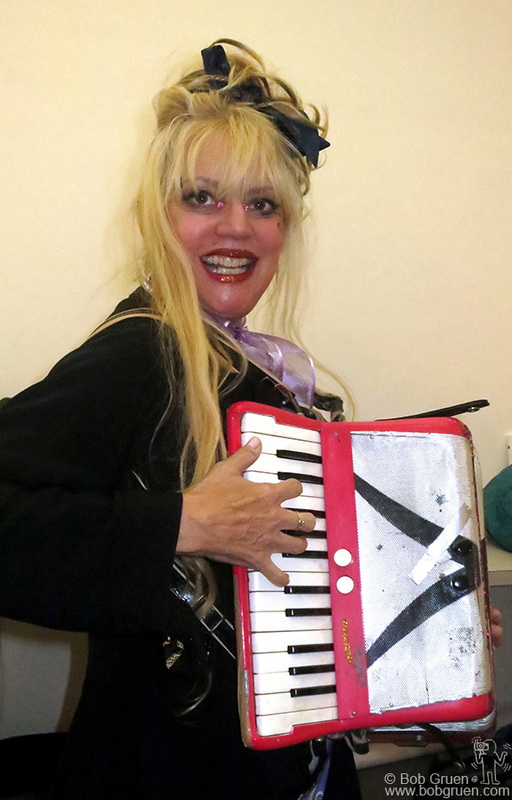 Oct 29 – The unique performance artist Phoebe Legere played her accordian as part of an evening of cool downtown fun. 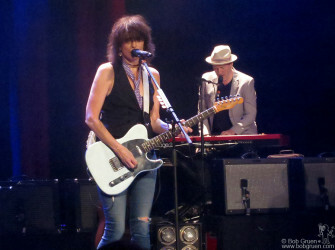 Nov 5 - Chrissie Hynde played songs from her new album with her new band. 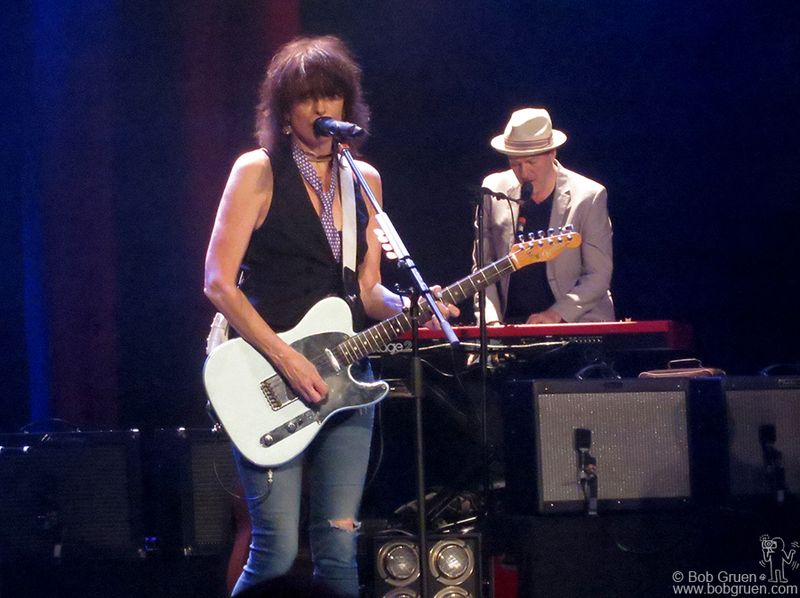 Nov 5 – Chrissie Hynde played songs from her new album with her new band. Nov 6 – John Varvatos interviewed Jimmy Page about his life and the stories in Jimmy’s new book. 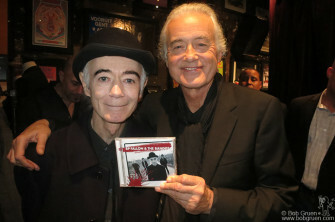 Jimmy was happy to see his old friend BP Fallon there. Nov 10 – My son, Kris Gruen came to New York and played with his band. 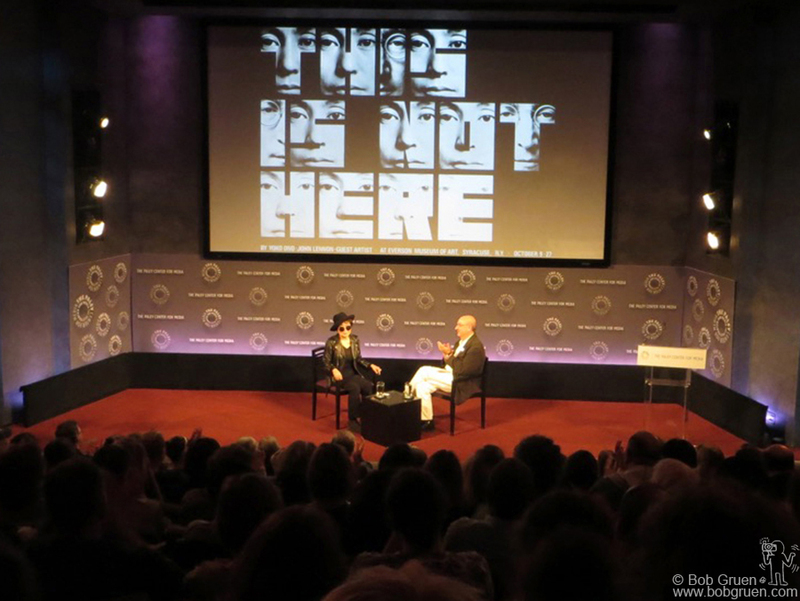 Nov 11 – Anthony DeCurtis interviewed Yoko Ono to promote the new book of Yoko’s artwork just published by Genesis. Nov 13 - One of my favorite photographers, David Godlis gave a talk about his work. He has a new book of his Punk Rock photos coming out thanks to his successful Kickstarter campaign. 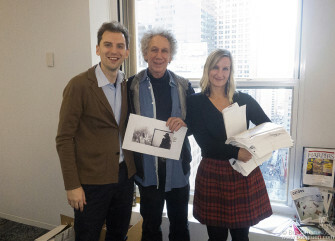 Nov 13 – One of my favorite photographers, David Godlis gave a talk about his work. 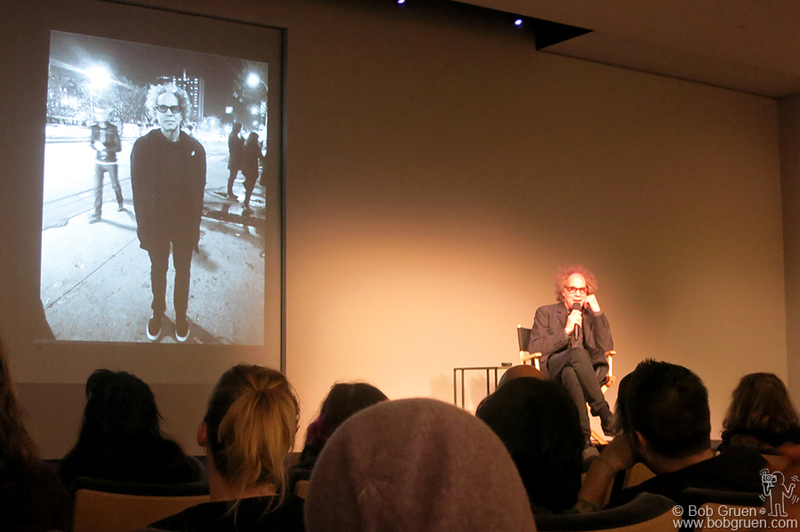 He has a new book of his Punk Rock photos coming out thanks to his successful Kickstarter campaign. Nov 17 - Ryan Adams showed he has practiced enough to play a solo acoustic show at Carnegie Hall. 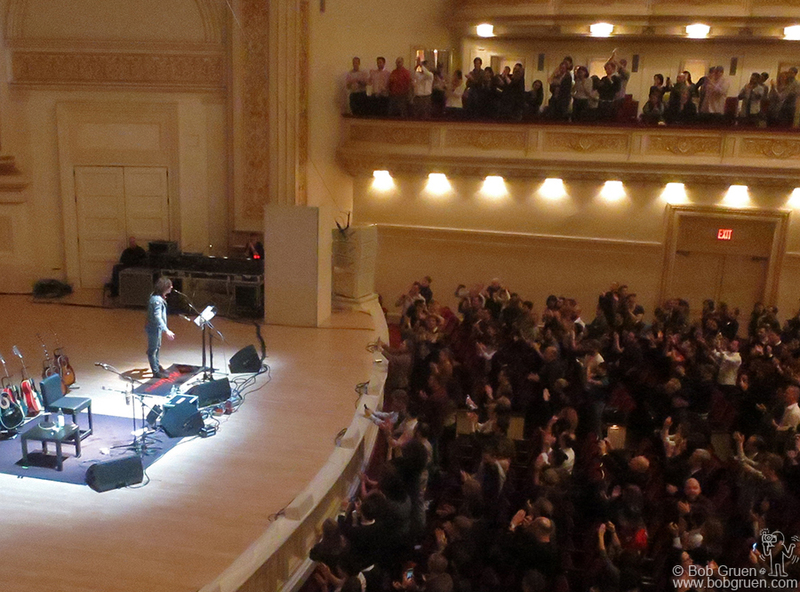 Nov 17 – Ryan Adams showed he has practiced enough to play a solo acoustic show at Carnegie Hall. Nov 21 – Barry Harbaugh, and Leah Carlson-Stanisic, editor and art director of my new book ‘See Hear Yoko’ due to be released Feb 17. 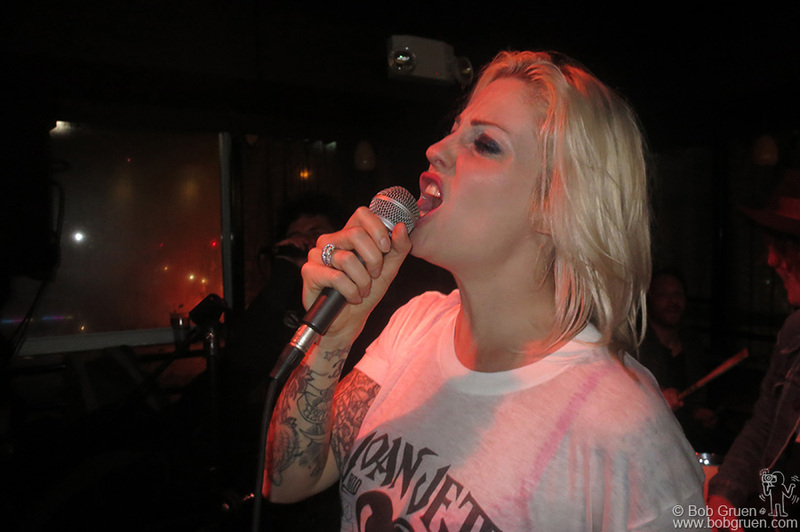 Laura Hajek of Edith Pop has gotten better with each show they put on. 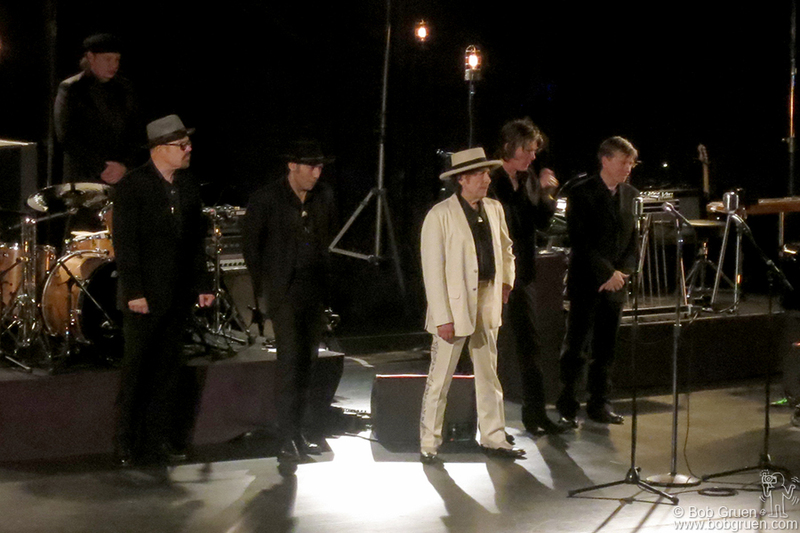 Dec 1 – Bob Dylan played with his band and sang like a crooner without using a guitar all night. 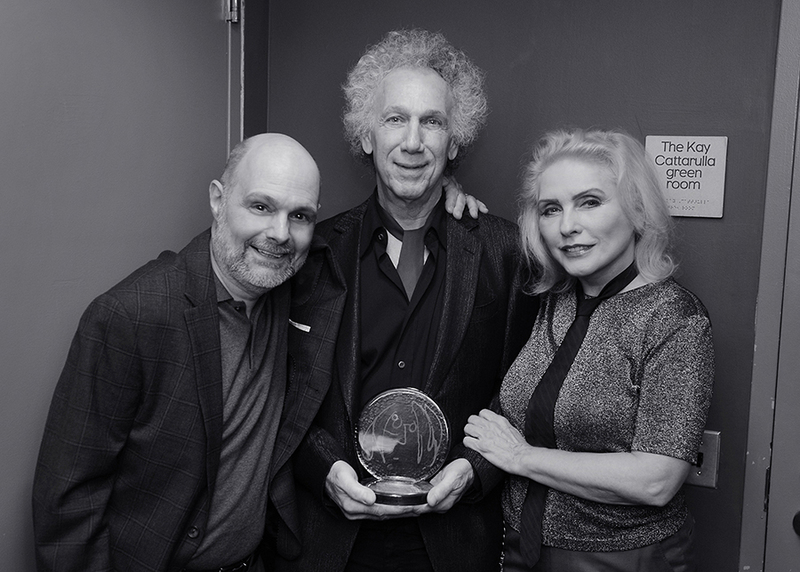 Dec 5 – Joe Raiola has organized a John Lennon Tribute concert for 34 years now and this year he and Debbie Harry presented me with the ‘John Lennon Real Love’ award in recognition of my many charitable contributions. 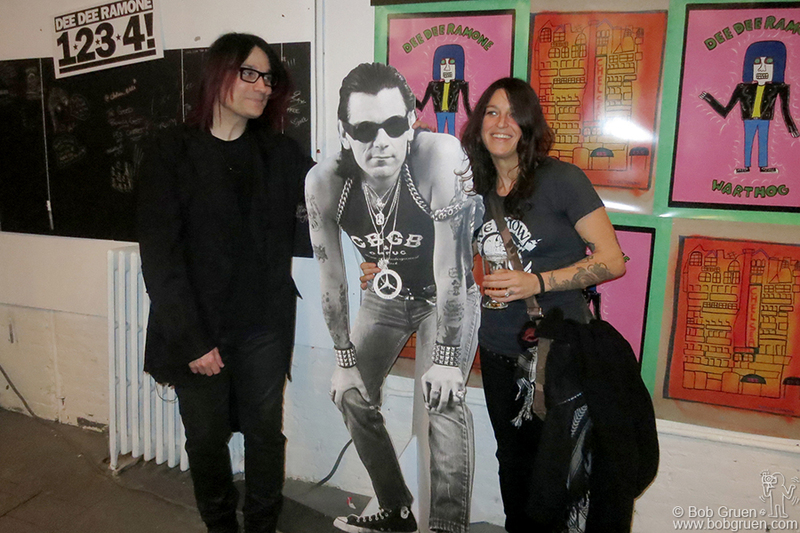 Dec 9 – John Cafiero organized an amazing exhibition of artwork by Dee Dee Ramone … in the photo above with Dee Dee’s widow Barbara. Jan 8 - Hollie Cook played a reggae influenced set showing how talented she is. 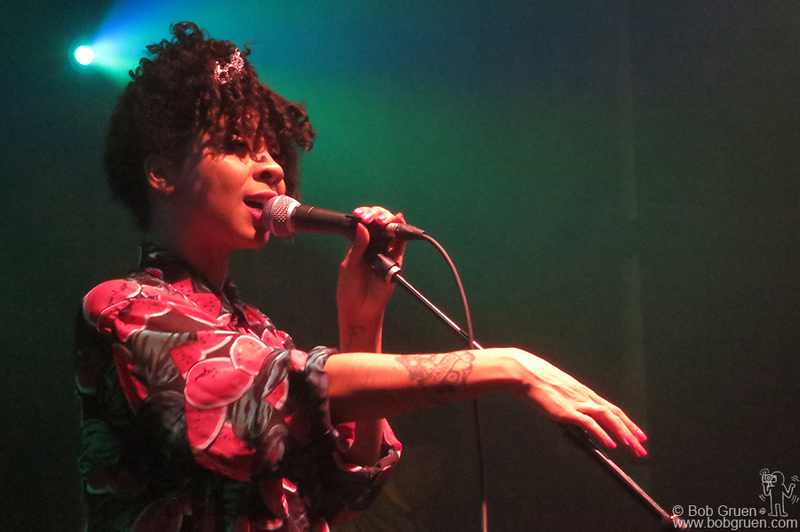 Jan 8 – Hollie Cook played a reggae influenced set showing how talented she is.